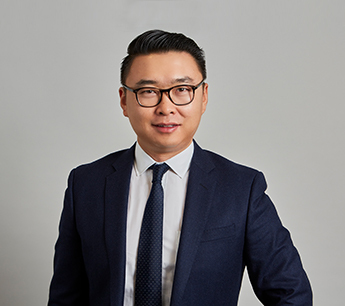 Jack Lee joined RKF in 2016 as a Senior Associate in the firm’s New York office. He specializes in tenant and landlord representation in Manhattan and the Outer Boroughs. Jack also assists many Far East companies to make inroads into U.S. retail market. Prior to joining RKF, Jack was with Kassin Sabbagh Realty, where he assisted national and international tenants with their expansions into the New York market and abroad. He was responsible for assisting South Korean coffee house Caffé Bene in its North American expansion. To date, Jack has secured 17 locations for the tenant, including stores in Brooklyn and Manhattan, which are among the highest grossing stores in the chain, and continues to open up more locations across North America. Jack has also worked on behalf of Tous Les Jours, a French-style South Korean bakery. He was responsible for securing its largest store in Flushing, Queens, as well as its first Brooklyn location. He continues to assist Tous Les Jours in its rapid expansion in the Northeast. In addition, Jack represents bibigo in its national expansion. The Korean quick-service restaurant is focused on Southern California and New York and plans to open 16 restaurants by the end of 2018. Jack earned a Bachelor of Science in Business Administration-Corporate Finance from the City University of New York-Queens College. He is tri-lingual, speaking Chinese and Korean. He is a licensed salesperson in the state of New York and is a member of International Council of Shopping Centers.